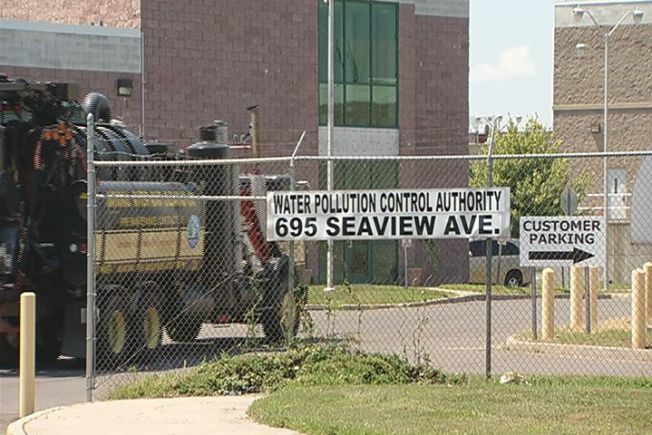 For years, Elaine Ward says there's been something smelly in Bridgeport's East End, and that something is the water treatment plant on Seaview Avenue. “The smell, the insects that's over here after dark, it's more than usual for any other side of town,” said Ward. She says the smell is contributing to poor air quality, especially on hot days like today. “Here you have all of this that's coming into the neighborhood and people are suffering from asthma,” Ward said. Community members met at the Ralphola Taylor Community Center on Tuesday to voice their concerns about the odor and figure out ways to stop it. “If we really want to get the root problem, we want to make sure everybody's there so we can have a good conversation,” said State Senator Andres Ayala, who helped organize the meeting. Representatives from the plant and the state were in attendance. According to the State Department of Energy and Environmental Protection, the plant is run by the city of Bridgeport, but is overseen by DEEP. It hasn't received any complaints about the smell, but is ready to listen to neighbors' concerns and will investigate along with the city to see if there's a problem. “Sometimes it could be a quick fix, so it might be something as simple as setting up a hotline, understanding at what time and when these odors being emitted from the plant,” said Sen. Ayala. Whatever the problem, the people in the East End want it resolved, so they can breathe some fresh air. “They need to find some better avenue here so we're not suffering,” said Ward.